Hi all, thanks for visiting the page! This summer, I have been given the opportunity to travel to Morogoro, Tanzania on a volunteer project with UCD Volunteers Overseas. As a Politics and International Relations student, development and education are policy areas i have a keen interest in and my studies here at UCD reflect these disciplines. The focus of our project is education. We will be working in a combination of primary and secondary schools assisting with I.C.T training for the teachers and providing English lessons for teachers and students. 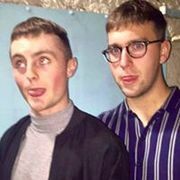 As a volunteer, i have a fundraising target of €1,200 to go towards project costs, like for example, renovating a class room. The balance, €1,450 is for flights, transfers, accomodation for one month and meals (Mon - Fri). Weekends and personal expenses will be funded personally.So far, I have been blown away with all the support I have recieved, mainly through words of encouragement and acknowledgemnent that this project is indeed worthy of our support. Any donations towards the project would be greatly appreciated! Donations can either be made in person or via this page and I would be extremely grateful to anyone in a position to help out. 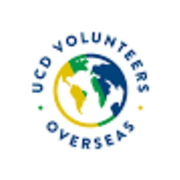 All contributions are lodged immediately to the UCD Volunteers Overseas account and if i could ask you all kindly, to check and ensure that my name is attached to the transaction. I will be most grateful for each and every donation and very humbled by your consideration and contribution. I look forward to sharing this experience of a lifetime with you all, through regular postings on my facebook page, both in the 7 month lead up to departure and from the project itself, from the time we arrive. I hope, by sharing these next 8 months of my life with you all, that a sense of activism around global justice and a spirit of volunteerism, may awaken within us all, together. The developing world does not ask for our charity or our help, it seeks only our solidarity. I will pack accordingly. More information can be found at www.ucdvo.org THANK YOU! Well done Gene ... no better man! Best wishes Eugene, a good pal..
Good luck Gene, see you at the Cure in Malahide in June before you head off..P..